AS PRESENTED TO THE ANTIQUARIAN SOCIETY OF CULVER ON AUGUST 8, 1998. 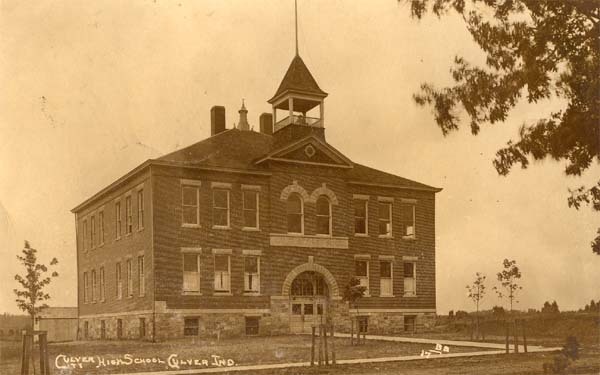 Above: Postcard dated 1912 depicting the Culver High School at that time. 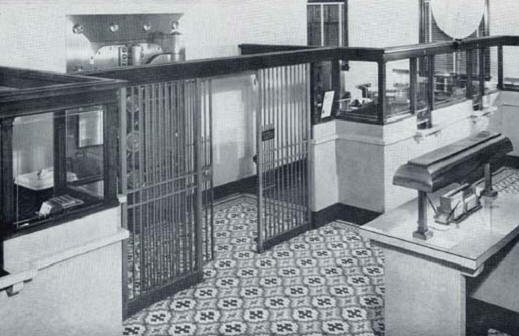 At 9:30 a.m. on Wednesday, December 29, 1920, robbers staged a bank hold-up. 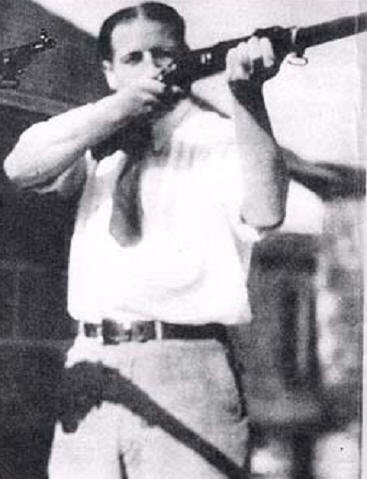 One of the men shot Jacob Saine, Culver resident who later died of the wounds. Jerome Zechiel was also wounded. Carl Adams twin brother, Earl, another defender on the scene, was not injured. Three robbers escaped on foot through the basement of the bank. 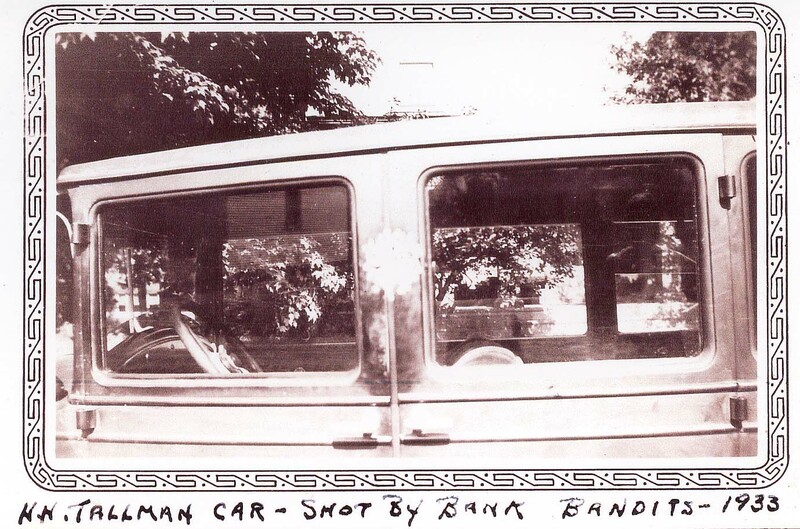 One bandit who had crossed the street to the Ewald meat market and locked several customers of that store in the ice box after having sprayed the bullets that killed Mr. Saine got in the car with the driver of the get-a-way car and the two drove away from the scene. Later the three hold-up men who escaped through the basement were caught. The driver, named Byer, was apprehended in Knox, Indiana while he was walking into his home. The bandit who shot Mr. Saine was not caught. 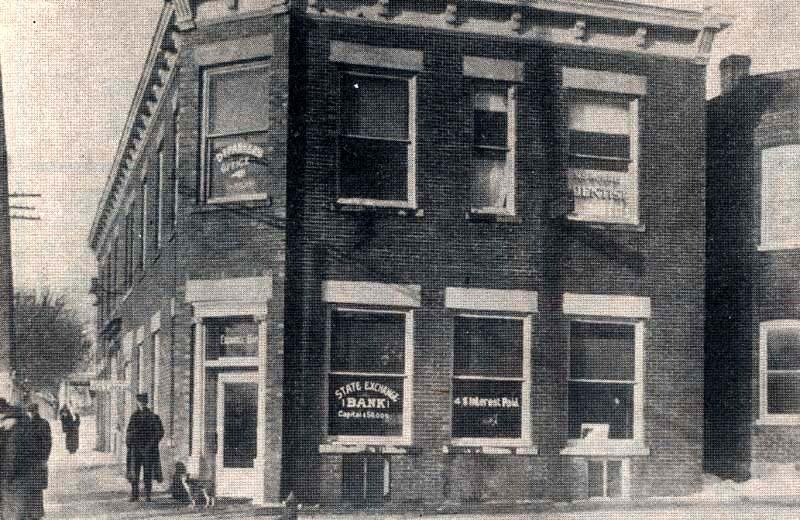 On January, l, 1921, the bandits were moved from the Marshall County jail to the Michigan City detention center as a precautionary move as the citizens of the county were very irate at the intrusion of their world. The bandits were arraigned on January 8 in Marshall County and were indicted by the Grand Jury on Manslaughter charges. Above: the getaway car, complete with bullet holes. On May 18, Clarence Darrow from Chicago, 11, an attorney made famous by the "Monkey Trials" as the dispute concerning the origin of man became known, was named defense attorney for the three men. Even though the nationally known attorney made an impassioned plea for the defendants’ release, the jury brought in a guilty verdict. (Darwin's origin of Species: Man sprung from the monkey, but in this case of the bank robbers, they didn't spring far enough.) May 20, the judge sentenced them all to life imprisonment. (Please note the short time frame, January to May of the year 1921 to bring the bandits to justice.) 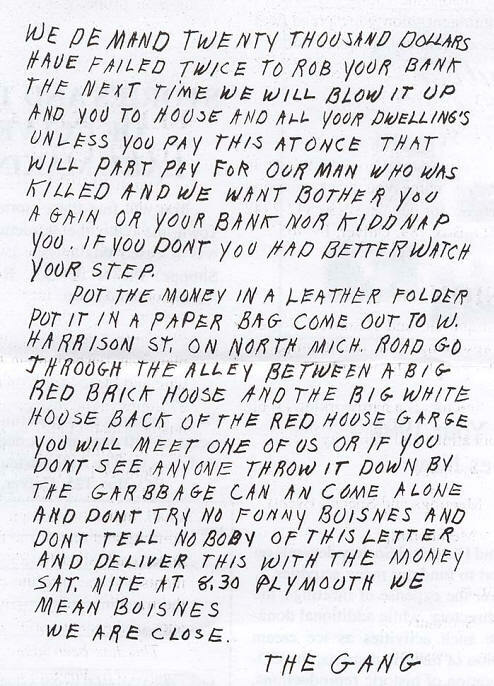 On the counter is a partial report from the Plymouth "Weekly Republican" newspaper. Byer, the driver of the car who left the scene, was later up for parole Will Osborn was asked if he approved of the man being released. W.O. ws reported to have suggested since the boy was only sixteen at the time of the robbery and had been in jail for some time he believed Byer should be released. Mr. O. became Byer's parole officer. Byer moved to Culver, reported to Osborn, even to bringing his bride-to-be in for Will's approval. The young man obtained a loan from State Exchange Bank and never defaulted a payment. Above, from left: the bank before remodeling...and after. 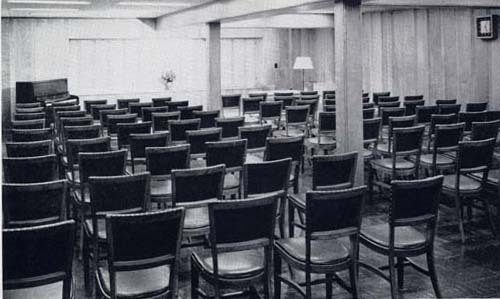 Below: the newly remodeled interior. The bank's sound financial reputation drew the attention of unsavory visitors. Famous bank robber Willie Sutton was once asked: "Why do you rob banks?" He replied, "Because that’s where the money is." As the late film actress Ruth Gordon was once asked how she felt about money. She answered: "It's right up there next to oxygen!" 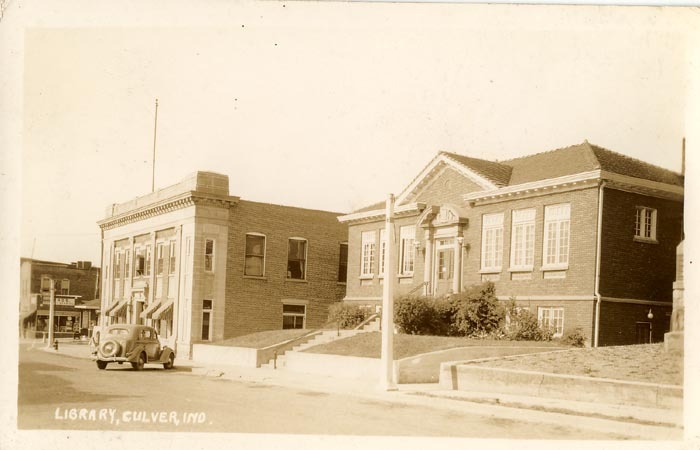 On May 9, 1933, at 9:04 a.m., seven men staged a hold-up of the bank in a widely publicized robbery in which six robbers were captured after a chase west of Culver. The seventh was arrested in Chicago in late October. Of the $12,655.60 stolen, $9,375.61 was recovered. THE STORY: That Monday morning a car came in from the North and stopped in front of the bank. Five men, masked, with one machine gun, and four sawed-off shotguns jumped from the car and went in the bank. Mr. Osborn had seen them from the front window and set off the alarm, which alerted the citizens of Culver. The alarm was ringing when they came in the door spraying bullets. 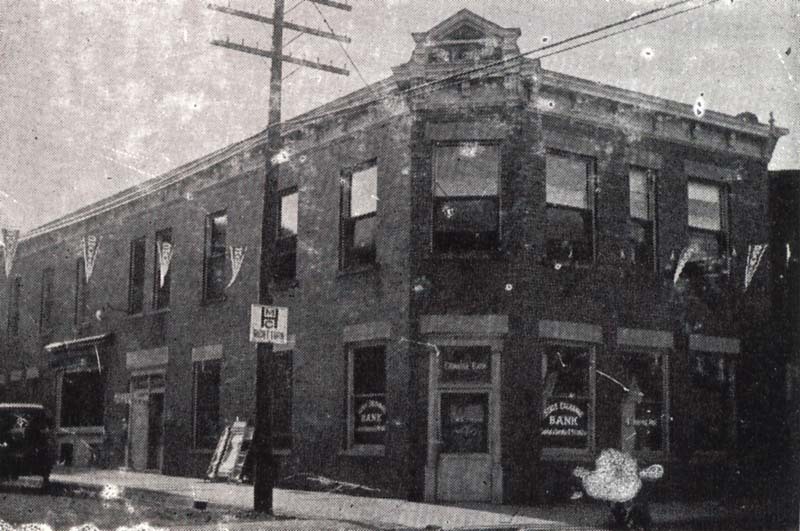 Oliver C. Shilling (son of Schuyler Shilling) with gun in hand ran to the roof of the two-story shoe repair shop south of the bank, and from that vantage spot, shot between the eyes the driver seated in the get-away car. The second man waiting outside ducked for cover behind the car. 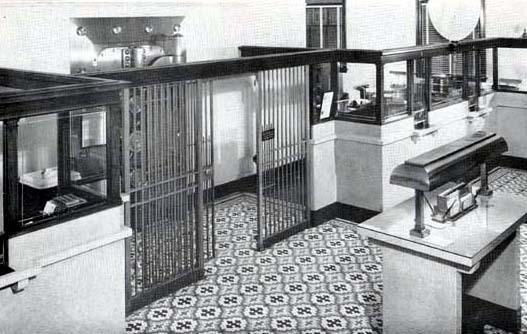 Inside the bank, two of the robbers made the fourteen people in the bank lie down on the floor, one stood guard at the entrance, one in the middle of the lobby and another took Carl Adams to open the vault. 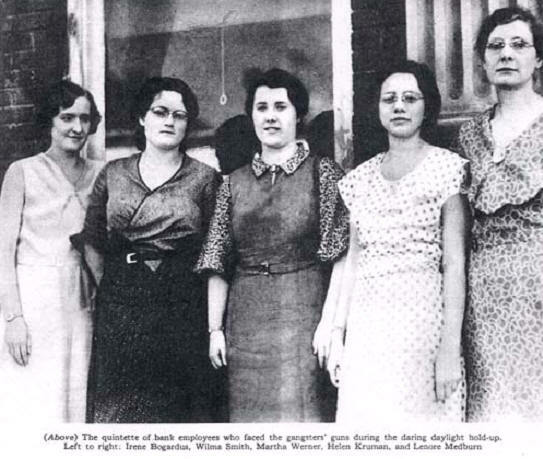 Scenes from the 1933 robbery above, from left: Culver’s first banker, John Osborn, points to the bullet holes in Dr. Mackey’s car; Irene Bogardus, Wilma Smith, Martha Werner, Helen Kruman, and Lenore Medburn faced the bandits’ guns; Citizen publisher M.R. 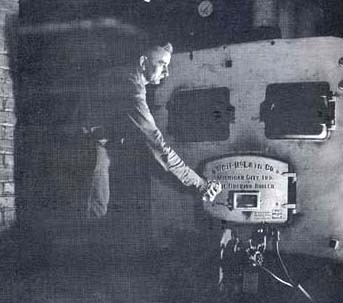 Robinson exhibits the special edition of the paper devoted to the robbery; Oliver C. Shilling demonstrates his shooting technique; the car of H.H. 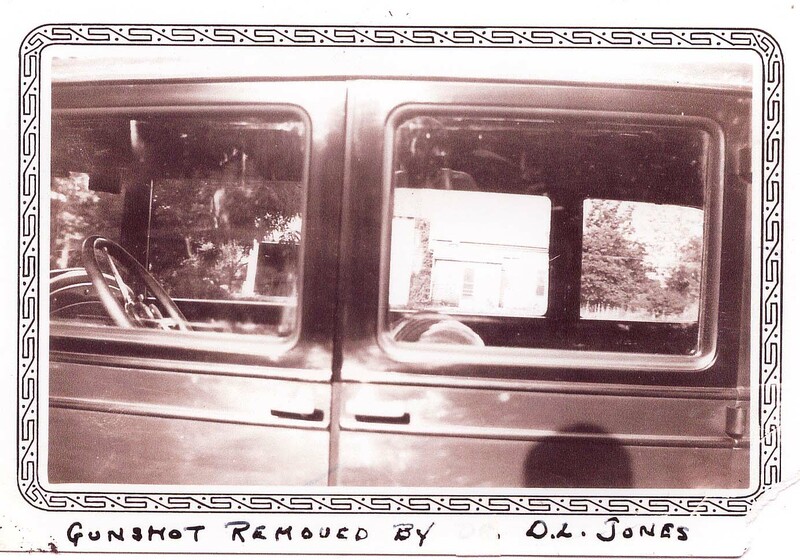 Tallman, riddled with bullet holes, and the same vehicle after evidence of the gunshots was removed by D. L. Jones. More detail on the robbery can be found here, in True Detective Magazine's feature story on the robbery and capture effort. 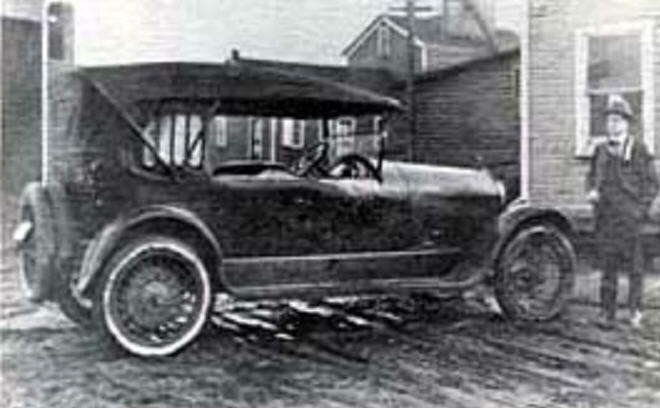 The robbers took Carl Adams and a customer, Stephen Warren, with them as hostages placing them on the running board of the car. The wounded driver was shoved aside and another man drove. The new driver did not know the roads. In frustration, the two hostages were let go at the west edge of town and the car proceeded North and crossed State Road 10 going West. 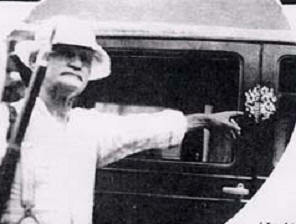 Dr. C. B. Mackey was following close behind in his car. And when the get-away car skidded from the road on a sharp curve, the men stopped the doctor and took over his car. The doctor administered to the wounded driver who later died. In unknown territory, the driver tried to cut the car through a woods west of Ober which was swampy. The stolen car bogged down in quick sand. They had to abandon the car and scatter on foot. A large posse of Culver citizens, joined by men from Plymouth and North Judson and led by Col. Robert Rossow, commandant of the Culver Military Academy, encircled the robbers and all but one were caught. One of the men was in a tree, another submerged up to his neck in water, another man with the leader of the gang were well hidden with only their faces showing above the swamp water. Over half of the money was gathered throughout the woods with the largest sum found buried under a root on the bank of a creek. The trial for the robbers was held in Plymouth and ended with three robbers being sentenced 3 to 10 years and three sentenced to 2 S years. The seventh was arrested in Chicago, IL. In the inner circles of prison, it was said that John Dillinger cased the Culver Bank and believed it too difficult to get away. Apparently, the seven men did not know of their fellow criminal's observation. 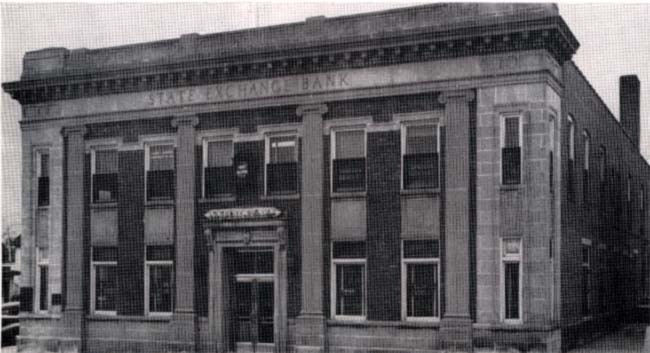 Above: The bank as it appeared in the 1930s; the Culver Public Library can be seen to the right. 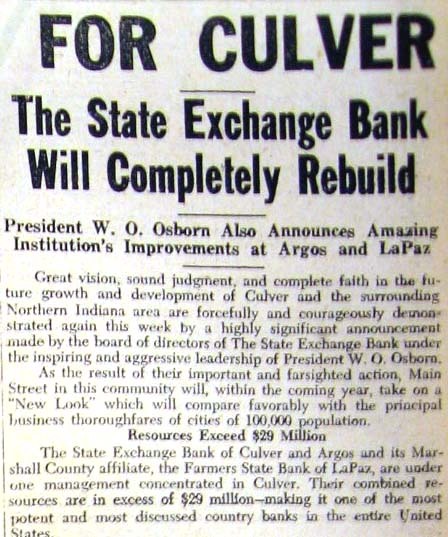 In 1935, with recourses at $1,700,000 and deposits at a record high, the bank officials decided to remodel the interior of the Culver bank. The bank also added a cafeteria on the lower floor for employees and invited guests. 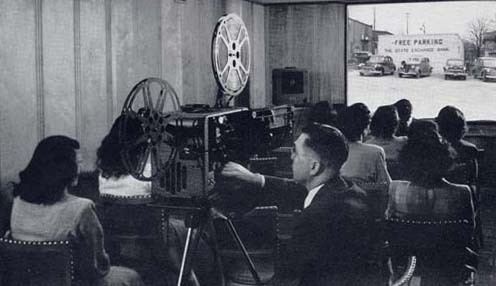 The remodeling was completed in 1936 with modern equipment including an inter-office telephone system with central switchboard, new filing system and Eastman Kodak Recordak with a 16 mm. camera capable of processing 12 S checks per minute. 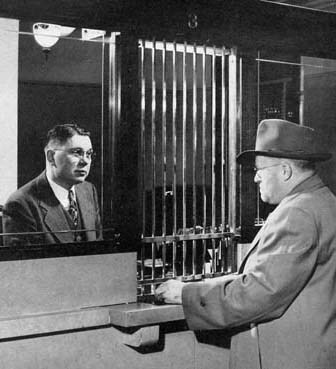 The bank was becoming an automated sophisticate. Margaret Swanson joined the bank staff as comptroller. Hampton Boswell joined the insurance staff in December of that year. (father of Carolyn Kline/father-in-law of Bob Kline). 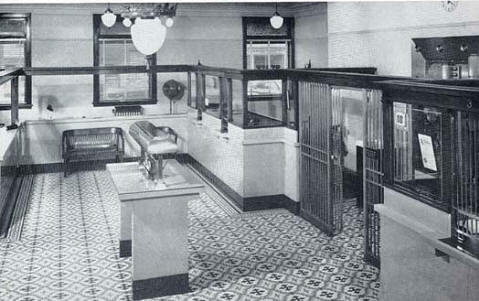 Above, right to left: photos of the bank interior after the 1935 remodeling (these photos were taken in 1947). 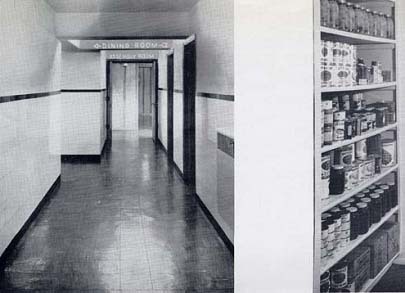 From left, the assembly room which included a state of the art theater-seating projection room; pantry in the kitchenette in the downstairs cafeteria area; the kitchenette itself; the hallway leading to the kitchen area and the stocked pantry; Glenda Sellers (seated) speaks to Alice Mikesell (standing) in the kitchenette area; stairs leading to the basement kitchen area; two shots of the main floor lobby. 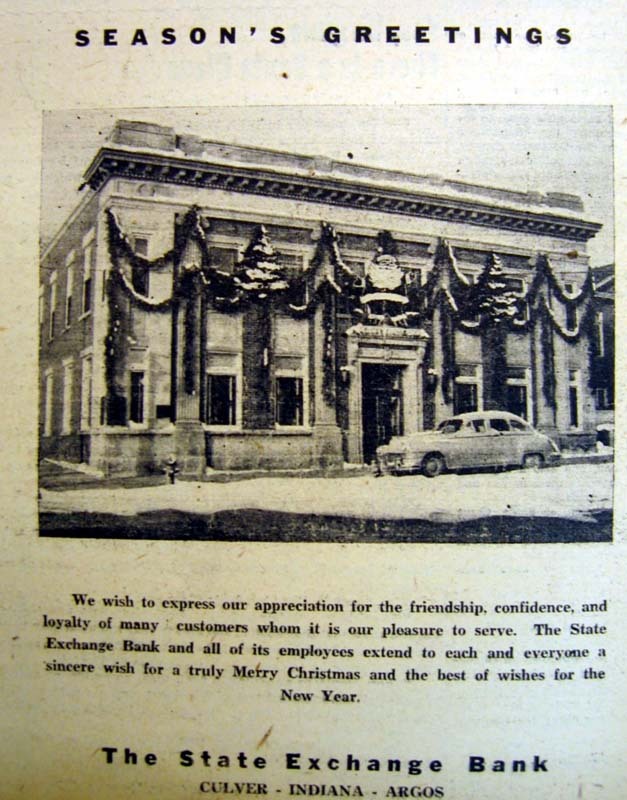 Above, left to right: a 1938 advertisement for the bank's Christmas Club; and a 1930s advertisement shows the bank decked out in Christmas finery. 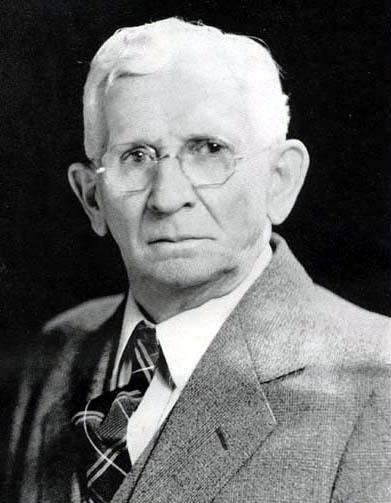 In 1938, after much consultation with different insurance companies, Mr. Osborn met with Charles S. Miller, Tyner, Indiana who represented the Lincoln National Life Insurance Company, Ft. Wayne, and pioneered a plan to insure the lives of makers of loans, on a voluntary basis. The year-end statement showed deposits of $2,500,000 and capital accounts of $239,947. 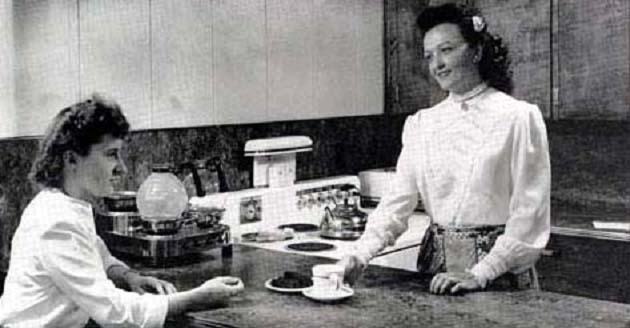 In the 40's the bank continued its philosophy of the ‘30’s, which stressed the customer-depositor, should not be charged for service of the bank and the bank should take care of the legitimate needs of the community. Free checking, free napkins and advertising hand-outs were given to organizations as well as to individuals. 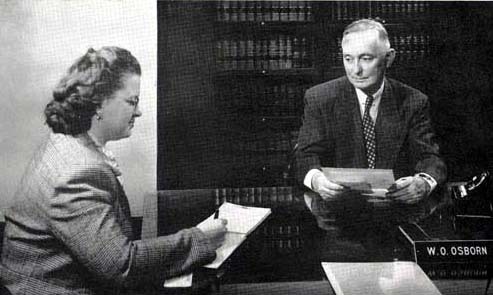 Above, right: Charlotte Jung, having joined the bank in 1946, is pictured with W.O. Osborn in 1947. Above, from left: W.O. 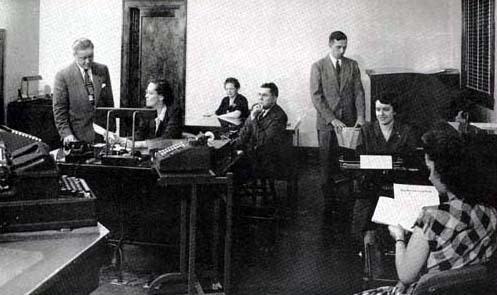 Osborn at his desk at the bank in 1947; and a gathering of the IBM officials who visited the bank in 1947, including famed IBM chairman Thomas J. Watson, Jr. 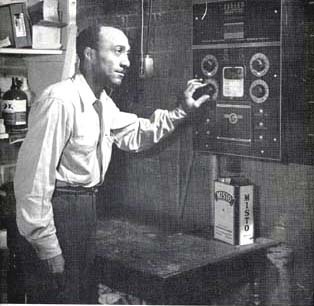 Above, from left: Wallace Clark and Zenith Crossgrove, State Exchange Bank custodians, in 1947. 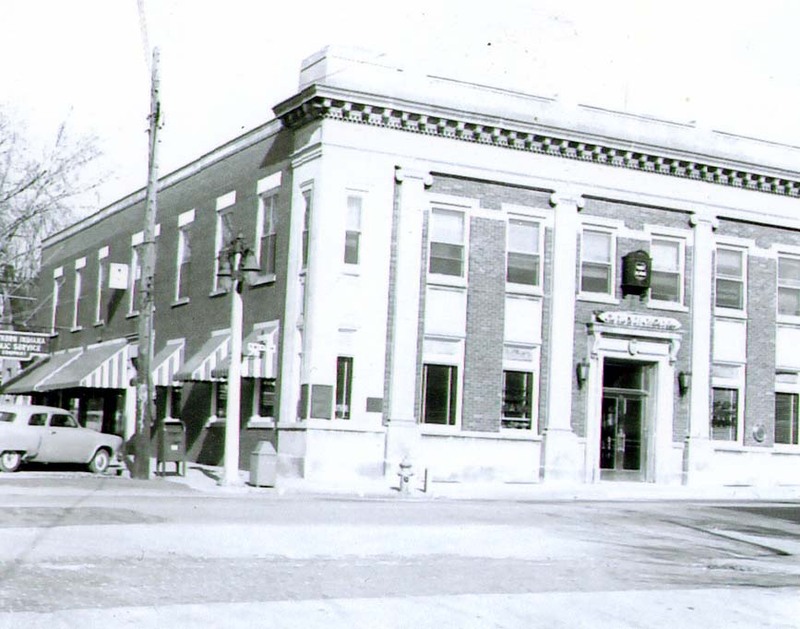 Above: various shots of the bank and its staff in 1947. 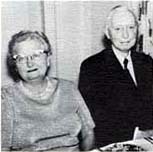 From left: Clarence E. Bair with board member O.T. 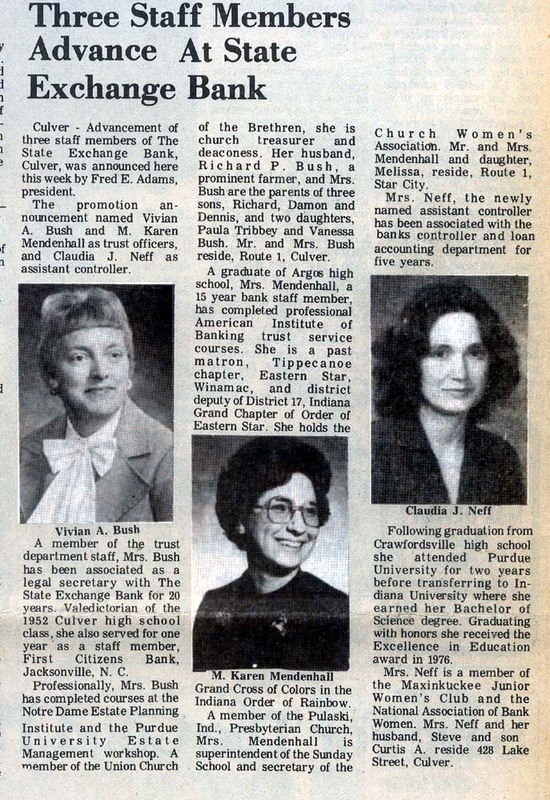 Goss; Charlotte Jung, Esther Bolinger, Bonnie Reed, and Wilma Snyder; the board of directors, including Lewis Overmyer, O.T. Goss, W.O. 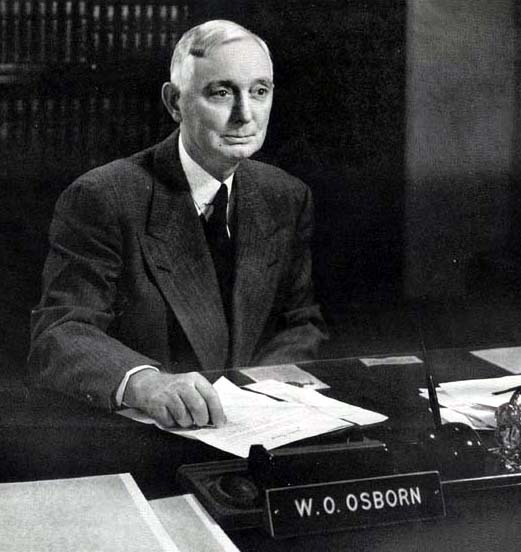 Osborn, W.L. Johnson, H.E. Medbourn, Hampton Boswell, A.N. Butler, and Carl Adams. 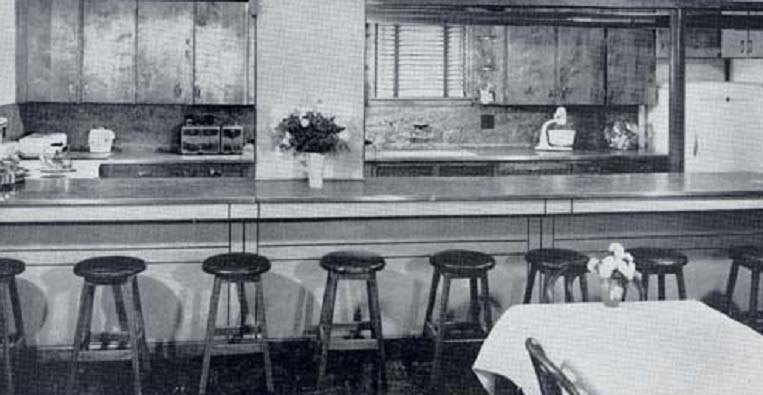 These photos come from the bank's 1947 photo book and program. Click here to see the entire book. 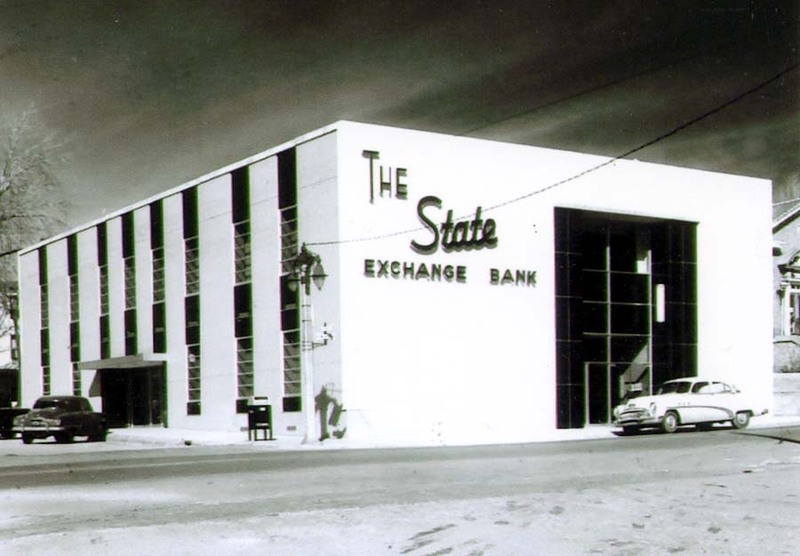 Left to right: The State Exchange Bank in the 1950s, before the remodeling; a 1956 Culver Citizen article detailing the planned remodeling of the bank; and the bank after its 1957 remodeling project. 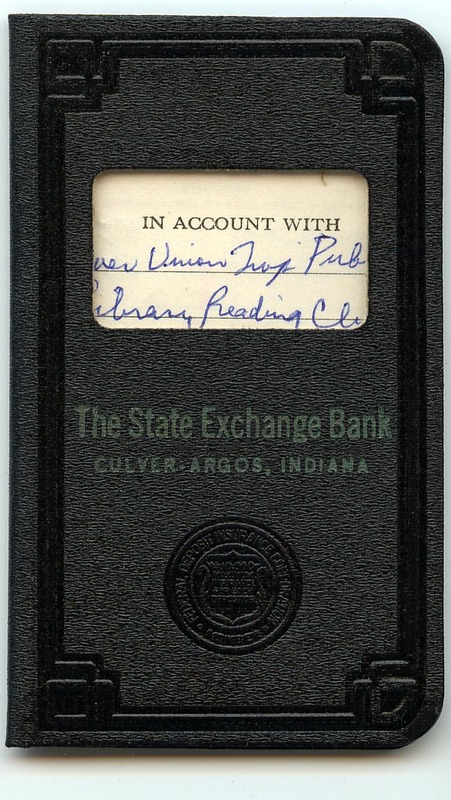 Above: The State Exchange Bank's 1960 book issued to the Culver Public Library. 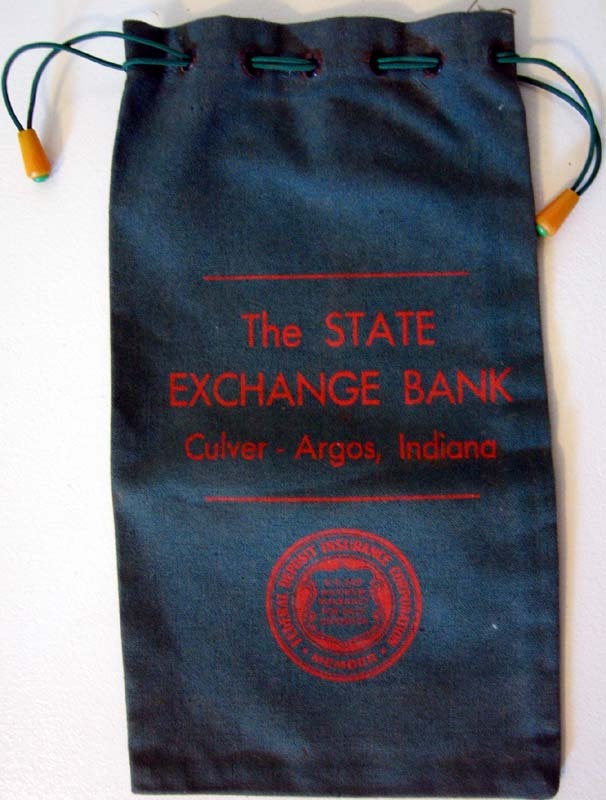 Money bag from the State Exchange Bank, an undated item from the Kim Amond collection. Above: W.O. 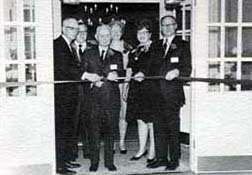 Osborn at the ribbon-cutting ceremony for the Plymouth branch of the bank, early 1960s. 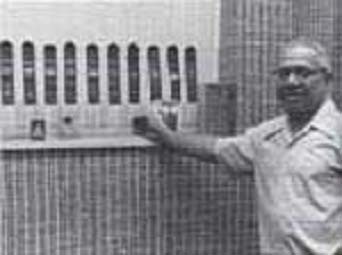 Above: Custodian J.C. Beck in the 1970s. 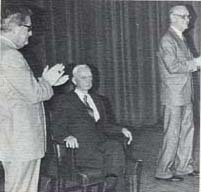 Left: images from the 1975 celebration honoring W.O. Osborn on his 90th birthday. 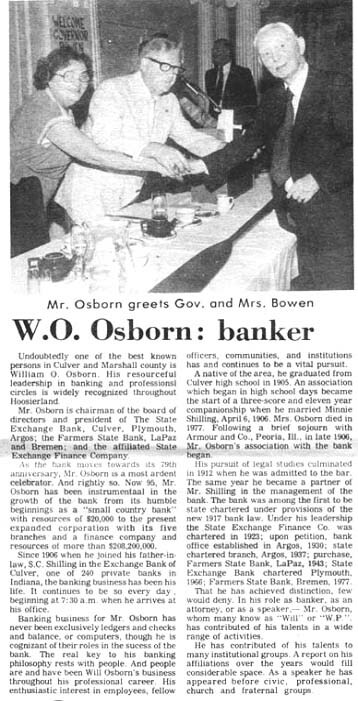 Pictured is Osborn and his wife with former Indiana Governor Otis Bowen, and a newspaper article commemorating the occasion. Minnie Shilling Osborn died in 1977 (she is pictured above). For the first time in history, in October of 1981, service charges were placed on checking accounts. The Carter Administration's decisions abroad affected the farmers' abroad affected the farmer's grain abroad, affected the farmer grain prices. The farmer’s demise was to recall one of Mr. Osborn's sayings. "We're built with the earth as our foundation, not figures and promises. Farmers have played an important role" (in the bank's history-end of quote.) When farmers have hard times, they can't pay back their loans-"prime the pump" practice was essential to their solvency. The farmers, hurt-the bank hurts.